Owners Maria and Joe DiSaverio welcome you to their acclaimed Upstate New York bed and breakfast. 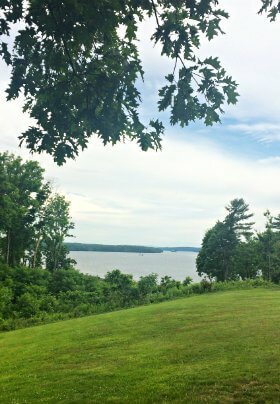 Surrounded by six acres of wooded splendor, our inn becomes your Dutchess County retreat in all seasons. 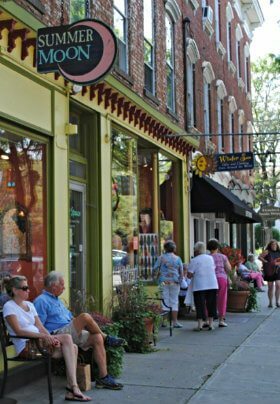 Located just a few miles outside historic Rhinebeck and its surrounding villages, you’ll be captivated by the area’s wooded-country lifestyle with its welcoming faces, quaint shops, and gourmet restaurants throughout the region. The inn is conveniently situated near a number of area educational centers such as Bard College, the Omega Institute, Vanderbilt, FDR Presidential Library and Museum, and the Culinary Institute of America. We are also a short drive from the beautiful Walkway Over the Hudson. Each and every suite and guestroom in our B&B features a full gourmet breakfast, fresh cut flowers, king beds with luxury linens, private bathrooms, secure Wi-Fi, complimentary parking, cable TV, air conditioning, in-room telephones, and refrigerators. Some rooms feature gas fireplaces (in season), double Jacuzzi tubs, and private furnished decks. All accommodations and the breakfast room are located in the main building. Help yourself to coffee, tea, fresh fruit, and homemade treats throughout the day in the dining room! 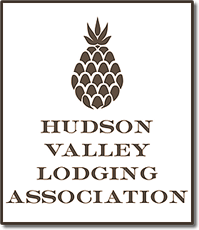 Your visit will be memorable with the many activities offered in the area, including wine tasting, country markets, airplane rides, hot air ballooning, world-class hiking trails, cross-country skiing, and even a relaxed sunset cruise on the Hudson River. 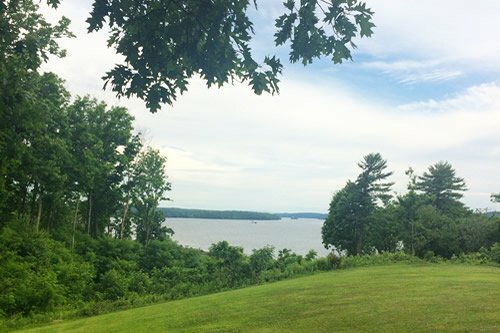 If you are an Omega Institute participant, please check our special rates!